Leverage Augmented & Virtual Reality technologies and provide immersive presentations for your architectural and construction plans. 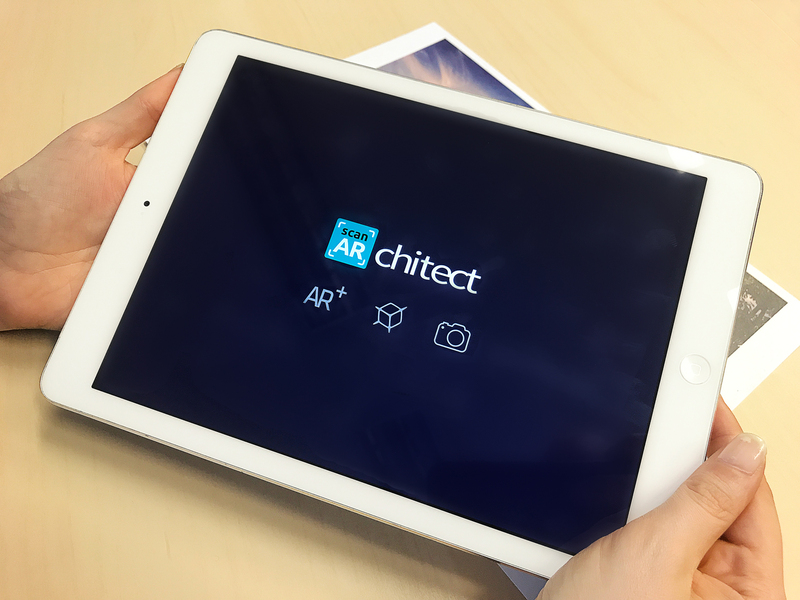 Download the scanARchitect app, scan the image marker and see how it works. 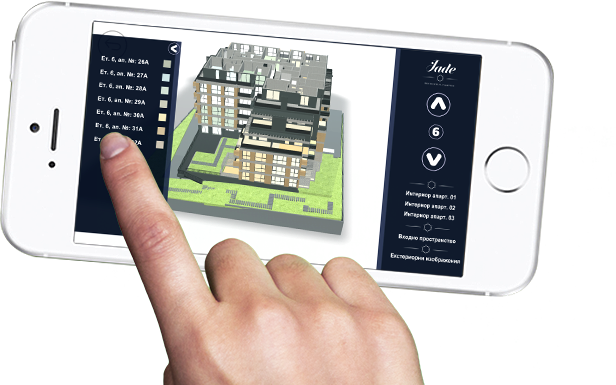 PRESENT your real estate project with AR and provide your clients with realistic understanding of the exterior. Overlaying 3D architectural and other construction models on top of physical objects such as architectural plans, marketing brochures, flyers and other forms of print media. Full virtual reality simulations can be experienced for VR headsets like Samsung Gear VR and Google Cardboard. The client can choose various configurations for interaction with the model for best viewing experience. 360° panoramas and 3D models of interiors can be imported. WHY DO YOU NEED AR AND VR? Presenting architectural models with augmented and virtual reality technologies enable new and powerful visualization tools. 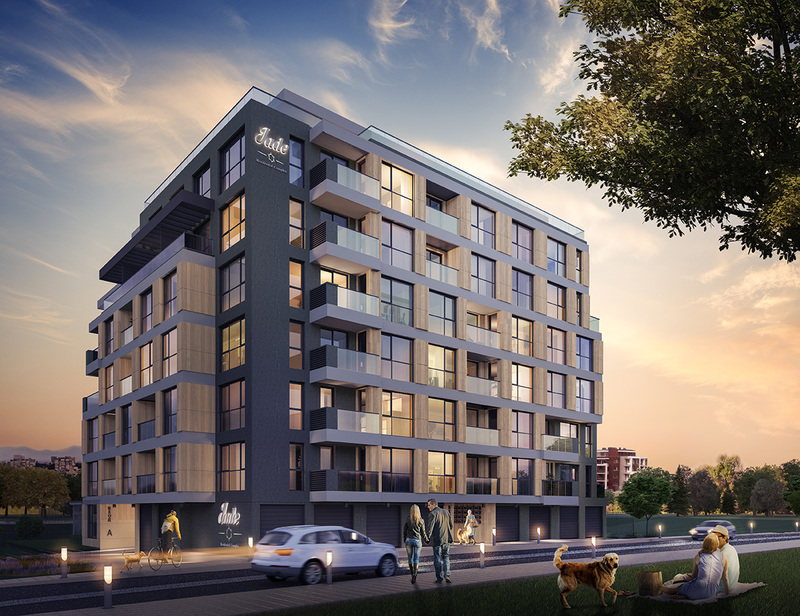 These presentations allow for realistic and coherent understanding among clients of either the architectural or property development side. Sales performance has direct correlation to proper presentation methods. Innovation and utility have always been weighing factors in the clients` decision making process. Industrial and big residential real estate projects require costly physical models which could easily be replaced by holographic and virtual simulations. Moreover, the improved construction process leads to fewer errors and higher cost-effectiveness. Augmented and virtual reality stimulate feelings among customers as being presented with magic. This “wow” effect and the innovative aspect of the technology itself provide with the capacity for outstanding PR campaigns. 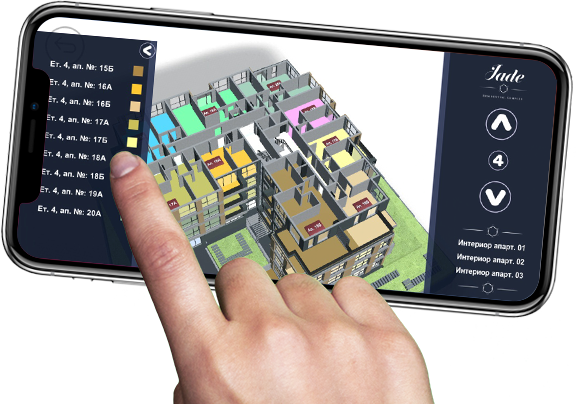 Besides architecture, the AR and VR technologies could be used for visualizations of construction plans: floor and foundation plans, mechanical and framing plans. As a result, the construction contractors gain precise understanding of the construction site. 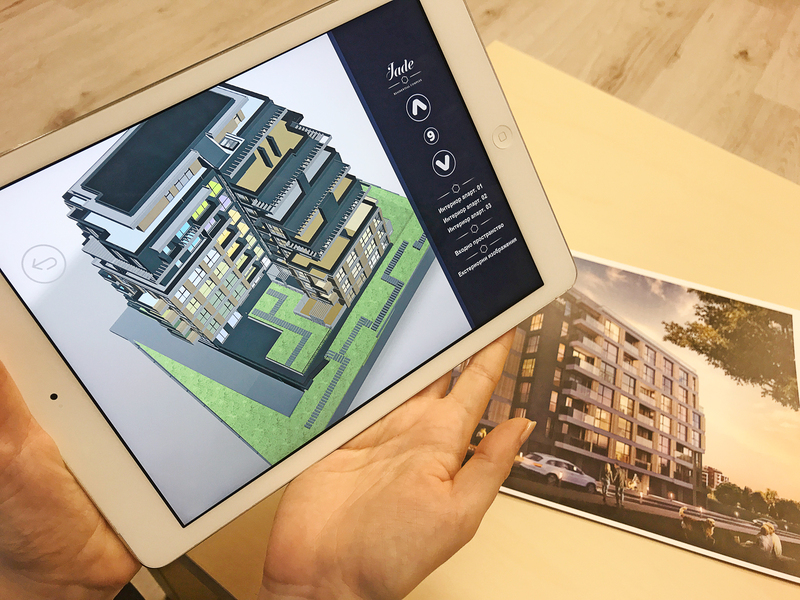 Utilizing AR & VR technologies allow for better communication and collaboration among the different stakeholders and performers of a real estate project- architects, designers, investors, property developers and construction contractors. We have deep experience and expertise in AR and VR as we have realized more than 30 different projects in these fields. We developed our own proprietary technology- iGreet but we also have extensive knowledge on using other engines and tools. Our multidisciplinary team provides for mixed competencies in the areas of programming, 3D modelling, design, marketing and others. That is how we deliver maximum value for each project and each client. with a sophisticated breakthrough in real-time, 3D motion-tracking overlay video playback and 3D rendering. Markers – every type of traditional print media could be used as an AR marker. 3D Models – we optimize and implement standard 3d file formats such as .3ds, .fbx and .obj. Platforms- our solutions support both iOS and Android. We offer our Scan ARchitect application as a platform service. You can use unique marker and your visualization will not be visible for others unless they have scanned that particular marker. We can develop your own branded app meeting your specific needs. Additional features could be integrated, as well. Contact us for detailed information about our services and any related inquiries. © 2018 scanARchitect.com, A product of iGreet® Ltd.